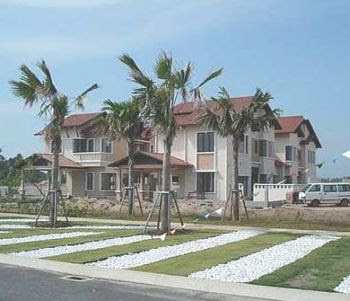 MK Land Holdings Bhd returned to the black with a net profit of RM18.3 million in its full year to June 30 2009, and it expects to do even better this year, driven by higher property sales. 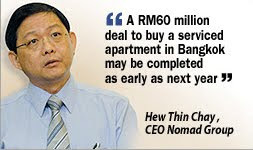 The developer, which suffered a loss of RM60 million in 2008, said its turnaround was due to strong property and land sales. 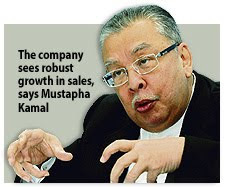 "The strategies which we put in place during the recession has paid off and we are optimistic of seeing continuous growth in the current financial year," said its executive chairman Tan Sri Mustapha Kamal Abu Bakar. 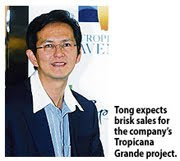 He said the company is seeing robust growth in sales despite the economic slowdown due to its properties' strategic location and also a more stable property market. "Another contributing factor is the success of our turnaround plan or renaissance which took place early July 2008," Mustapha Kamal told reporters at a media briefing in Petaling Jaya, Selangor, yesterday. 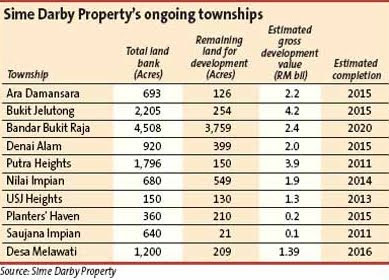 MK Land's revenue for 2009 stood at RM246.5 million as against RM137 million previously. 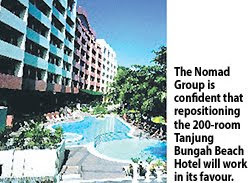 In the 12-month period, the group recorded sales worth RM136 million compared with only RM93 million previously. 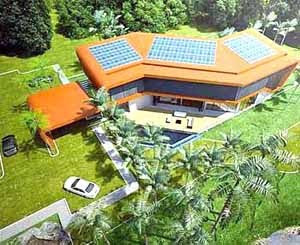 Mustapha Kamal is confident the property market will continue its recovery over the next 12 to 18 months. "With a total landbank of 2,833.6ha, we have enough landbank to last us for the next five years," he said, noting that in the first three months alone until August, the group already achieved sales worth RM271 million. 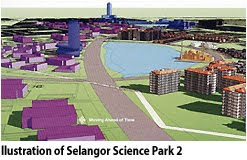 The group has a total gross development value of RM19.8 billion. COME December, Sunway Damansara Sdn Bhd, a property development company, will open a RM141 million lifestyle retail centre in Kota Damansara. Sunway Group of Shopping Malls' Chief Executive Officer H.C. Chan said Sunway Giza, the first lifestyle retail centre of its kind, would serve as a convenient shopping and dining area for the residents in the vicinity. 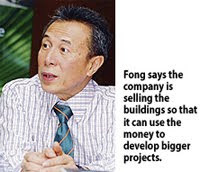 Saying that retail space was already 85 per cent taken up, he added that Sunway Giza would be managed by the same management team of Sunway Pyramid shopping mall. Sunway Giza will consist of 48 units of shop offices, a three-storey lifestyle shopping mall and basement parking with 800 bays. "We are assured of the retail centre's success as the area has a population catchment of 700,000 people from Subang Jaya, Bangsar, Kelana Jaya and Mont Kiara, all within a nine kilometres radius", he said in a statement today. 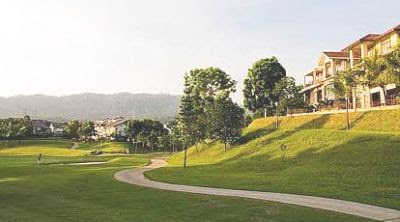 Sunway Damansara is a joint-venture between Sunway City Bhd and Perbadanan Kemajuan Negeri Selangor. 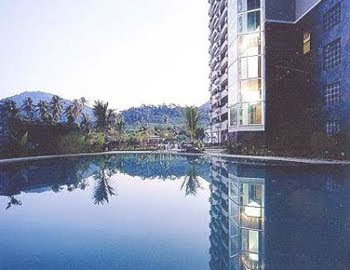 PJ Development Holdings Bhd has recorded a lower pre-tax profit of RM18.264 million for its fourth quarter ended June 30, 2009, compared to RM22.887 million in the same period last year. Its revenue rose to RM168.208 million from RM164.845 million previously. Basic earnings per share stood at 2.45 sen from 3.78 sen previously. For the financial year, the group's pre-tax profit dropped to RM37.450 million from RM122.566 million in the previous year. Its revenue declined to RM628.731 million from RM680.029 million previously. SHANGHAI: China plans to allow fund houses and brokerages to launch real estate investment trusts, or REITs, that would be publicly traded on the Shanghai and Shenzhen stock exchanges, two people with direct knowledge of the proposal said. REITs should be launched in the form of closed-end funds via special asset management firms, in which property developers can also own a stake, according to draft rules issued by The China Securities Regulatory Commission (CSRC) for consultation, the people said. The draft rules are subject to changes and it is not clear when they will be officially published. China's bourses are competing with the country's interbank market in launching China's first REITs as soon as this year, as Beijing accelerates financial reforms to support a slowing economy and the property market. "REITs are liquid investment instruments that would enable individuals to invest in properties even with only a few thousand yuan," said Alex Wang, real estate lawyer at Paul, Hastings, Janofsky & Walker LLP. He added that REITs would mean a new source of funding for developers and may create a new exit channel for foreign property investors in China such as Morgan Stanley. A REITs market in China would also generate new revenue streams for fund companies and brokerages, such as Haitong Securities Co and Harvest Fund Management Co. But analysts noted that a shortage of qualified properties, uncertainty over tax treatment and fears of irrational price swings all threaten to delay the launch of REITs in China. REITs, which invest mainly in commercial and industrial properties and pay most of their rent as dividends, have been long-established in the US and Australia but only caught on across Asia over the last five years. China's stock exchanges appear to be lagging the interbank market in the race to pioneer the REITs market. The People's Bank of China plans to submit a proposal to the State Council, or Cabinet in September, seeking approval for the launch ofREITs in the interbank market by the end of this year, the Caijing magazine reported on Monday. Developers including Shanghai Zhangjiang Hi-Tech Park, Shanghai Jinqiao Export Processing Zone Development Co Ltd, Shanghai Lujiazui (Group) Ltd and Shanghai Waigaoqiao (Group) Co Ltd are likely to raise money via REITs in a pilot programme, Caijing reported. 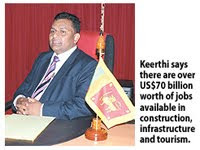 Creating a domestic REITs market was part of a financial reform package unveiled by the government last December to aid the rapidly slowing economy and help developers, which at that time suffered from stagnant sales, tight credit and a frozen IPO market. The real estate market has rebounded sharply this year after China unveiled a massive stimulus plan and boosted lending, making developers less willing to sell high-yielding properties. "One major problem is that there's a shortage of qualified properties to be bundled into REITs," said one person familiar with the situation. He added that for REITs to be attractive enough to investors, the underlying assets must generate an annual rental yield of 7 to 8 per cent. 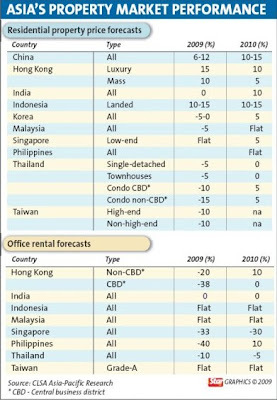 It is a challenge especially at a time when the global economic downturn saps demand for lodging and office space in China, with prime office rentals in major cities falling in the first six months, real estate consultancy CB Richard Ellis said.